Celebrate Independence Day (and your day off) this year where California was first born! 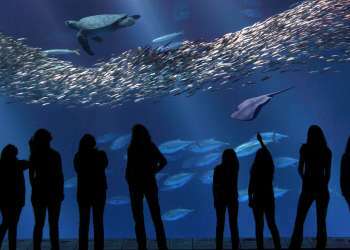 Monterey, Pacific Grove, Carmel-by-the-Sea and Spreckels are each throwing their own hometown bashes. Which one will you be attending? Historic Monterey shows off their patriotism with multiple events throughout the day! The holiday kicks off with a pancake breakfast at the Monterey Fire Station from 7am-11am. 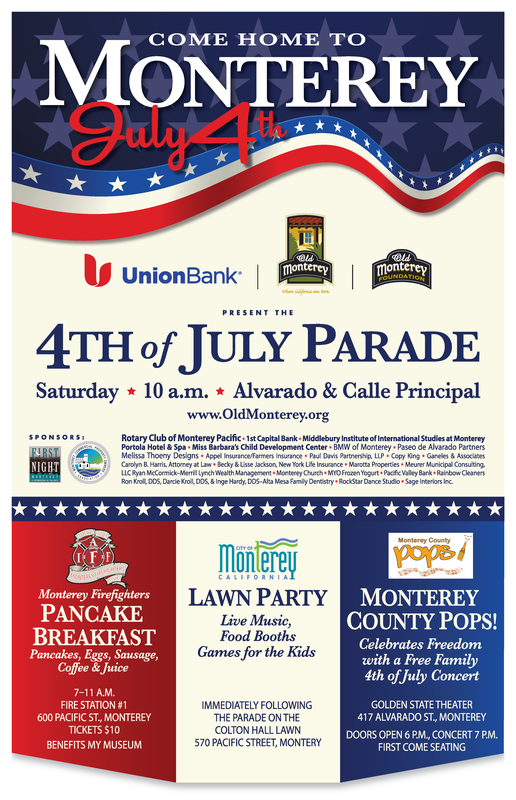 At 10am the spectacular 4th of July parade marches down Alvarado and Calle Principal. Afterwards stick around for the annual lawn party on the grass in front of Colton Hall on Pacific Street from 11am to 4:30pm. The entire family will love the non-stop live music, carnival games, face painting and food booths. The Cooper Molera Adobe in downtown Monterey opens its doors for Living History. 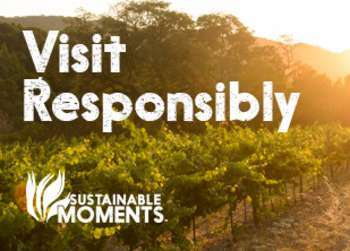 From 11am to 3pm the entire family will enjoy tours, games, crafts and tortilla making! Admission is $3 for adults, $2 for children under 17 and free for those 5 and under. Coney Island comes to Highway 1 Golf & Games on Cannery Row this Independence Day! At 2pm they host a fun hot dog eating contest. There will be a limited number of spaces for contestants and a $15 registration fee that includes an Unlimited Mirror Maze ticket and a round of 3D Black Light Mini Golf. Still need more? Head over to the Golden State Theatre in Oldtown Monterey where the Monterey County Pops put on a free patriotic concert accompanied by a high tech laser show. The doors open at 6pm and the program begins at 7pm. Beginning at noon Devendorf Park on Ocean Avenue in Carmel-by-the-Sea turns red, white and blue for a day packed full of live music, food, fun and games! Pack a lunch, bring a blanket and chill out to classic rock jams from Cheeky Spanks. "America&apos;s Last Hometown" goes big with a BBQ and live entertainment at Caledonia Park from 11am-3pm. Pacific Grove welcomes guests for live music from The Firefly Band and Tom Faia & The Juice, games, popcorn and snow cones. Don&apos;t miss the old-fashioned BBQ which includes chicken or hot dogs, baked beans, garlic bread, salad and dessert. Show your red, white and blue at the City Park in King City. A hometown parade marches through downtown at 10:30am followed by a 4th of July Celebration at 11:30am which includes live entertainment, vendors and concessions, a talent show, dunk tank and kids zone. The day long celebration wraps up at nightfall with a fireworks display at the King City Fairgrounds. The tiny town tucked away in the Salinas Valley throws a big party in honor of America&apos;s Independence. Spreckels starts the day off with organized 5K and 10K races followed by a parade, crafts, food and more! Don&apos;t miss a patriotic performance from the Monterey County Pops at 10am at Spreckels Memorial Park. The powerful ensemble of trumpets, French horns, trombones, euphonium, tuba, percussion and timpani includes a salute to America with songs like "Fanfare for the Common Man" and "Stars and Stripes Forever."